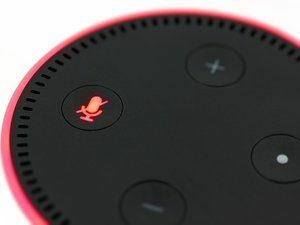 The second method is to say something like, “Alexa, donate $20 to the American Red Cross,” or one of the others currently tied into the donation system. Alexa will use whatever payment information you have tied into your Amazon account (including Amazon Pay, if you use it). This isn’t the first time Amazon has taken steps to make donations to charity easier. Not long ago, the company collaborated with an organization called “Give Back Box,” which allows users to reuse Amazon boxes to ship donations to various charity groups. The company’s motivations for making these changes are unclear, but it could be a bid to help their new Amazon Pay system gain more momentum. Regardless of the reasoning, these are exciting changes indeed. Given Amazon’s global reach, it’s all but certain to be a boon to the charities tied into the program. Even better, these changes may well prompt other tech giants to make similar moves. If you own a business of any size and are in the habit of making donations as part of your firm’s goodwill and outreach, Amazon just made it easier to do that. If not, then at the very least, when you opt to make a personal donation you now have a convenient way to do so.